Audi doesn’t offer the A4 Avant in the U.S. because Americans don’t buy wagons. So instead, the Germans simply lifted the A4 Avant a bit and now it’s a CUV! Americans will totally buy this now! 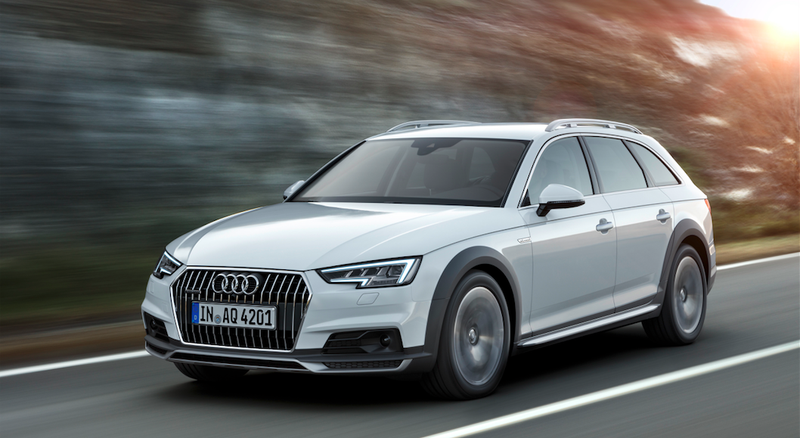 Behold the new Audi A4 Allroad Quattro, Audi’s newest crossover-y, wagon-y thing that just debuted at the Detroit Auto Show. This car is basically just an A4 Avant with a 0.9-inch suspension lift and wheels that add another 0.4 inches. So basically, take an A4 avant, raise it 1.3 inches, and you’ve now got something Americans will buy. Well, at least that’s Audi’s hope. Audi, I’m not buying this maniacal brainwashing scheme. It’s still a wagon in my eyes and always will be. The wagon gets standard all-wheel drive, and transmission options include a six-speed manual, seven-speed S tronic and eight-speed tiptronic. There’s a 252-horsepower 2.0-liter turbo four and five available diesel engines ranging between 150 and 272 horse, though Audi hasn’t announced if any of those oil burners will come to the states. Either way, I dig the A4 Allroad, no matter what you want to call it.